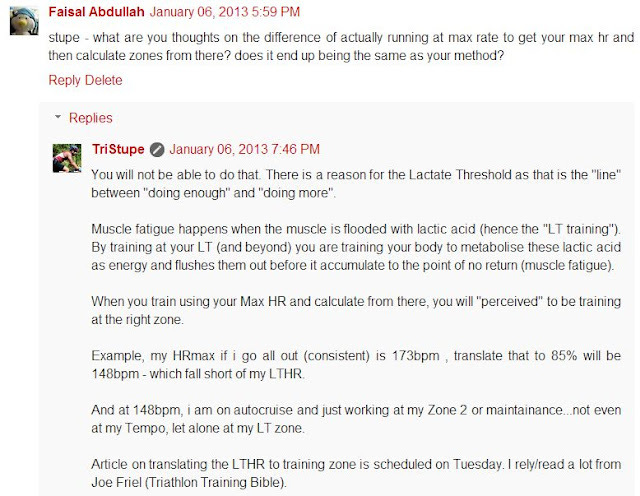 I hope some of you by now would had try to determine your Lactate Threshold Heart Rate (LHTR). This is a continuation from the LHTR write up and how to find your "sweet spot" for training. As noted in the previous entry, My LTHR went from 154bpm to 158bpm. What this simply meant is that I would now need to train closer to 158bpm to see improvement. For once, I am not complaining about a "higher heart rate"
LTHR relates closely to VO2Max and this is how you shape your workout. 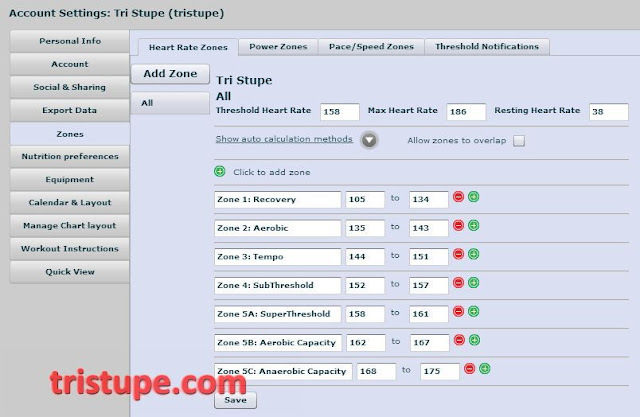 As LTHR applies for any sports that you do, provided you do the sports hard enough (at race pace) and obtain useful data to convert them into useful training zones. I excerpt these from the Triathlon book I followed closely to my training. The Triathlete Training Bible by Joe Friel. My reference material for the past 4 years. Likewise, since I am into Triathlon, the correlating LTHR for biking is calculated per below. The same method is used to determine your LTHR for biking - 10minutes warm up, 40mins at race tempo and 10minutes warm down. Your 40mins at race tempo and the average heart rate is your LTHR for biking. The guidance below is taken from Joe Friel's Training Bible. This is my perfect (disciplined) Tempo at Zone 3. 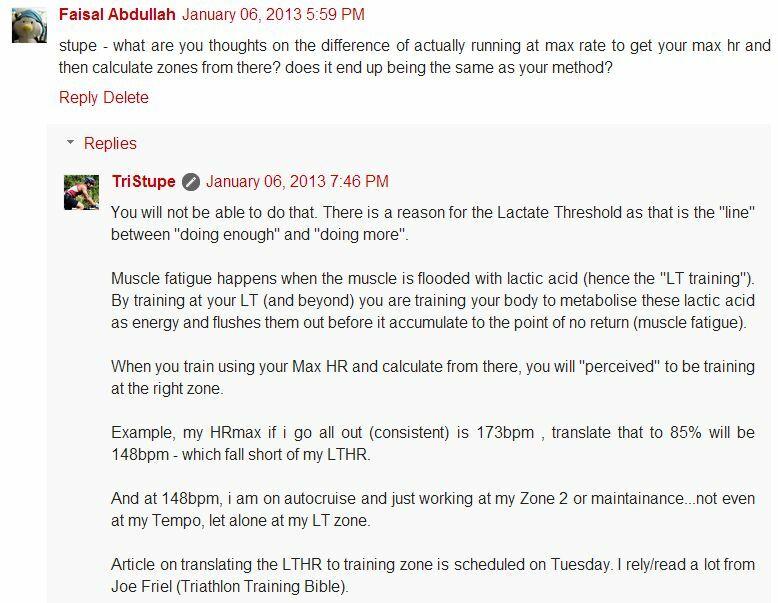 There was a question recently by one of my blog reader (Faisal) if using the HRMax derived from a "hard training" would be equal or sufficient to get our "training zone". Here is the screenshot of the interaction. Likewise, I welcome any ideas or questions. Lets learn together.